Users can schedule posts for one or more Facebook accounts, edit pending messages, receive email notifications and more. RIDGELAND, SC--(Marketwire - January 25, 2011) - mediafeedia™, a social media technology company, today announced the introduction of the first social media management tool exclusively for Facebook. Designed to support the growing needs of businesses on Facebook, companies can access the digital tool at no charge at www.mediafeedia.com and leverage its easy, efficient and secure dashboard to manage and publish content on their Facebook pages in a timely, streamlined manner. Grant administrators access and permissions for specific pages. 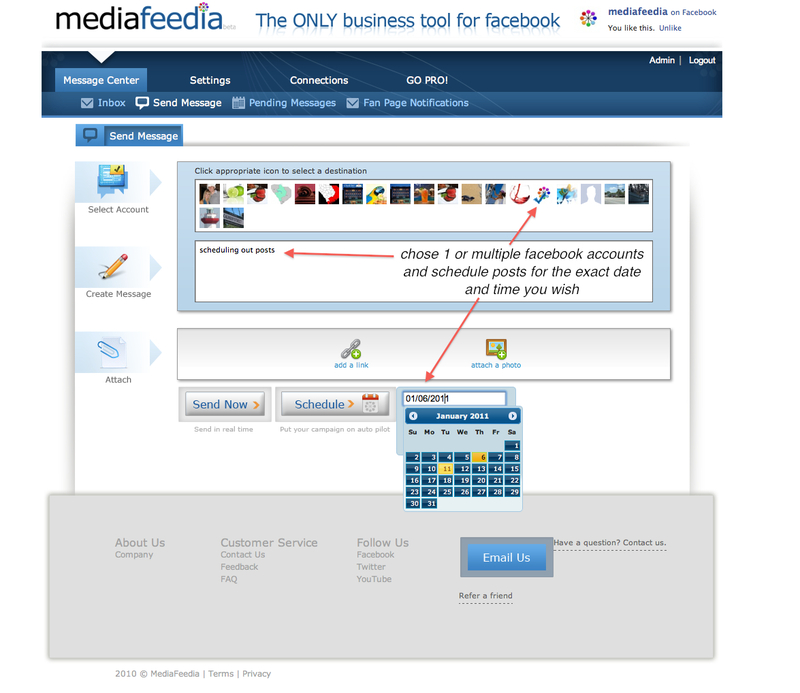 In addition to its free version, the company will soon release mediafeediaPRO offering enhanced features for Facebook power users, including a special dashboard for managing multiple Facebook pages, status updates, scheduling, and administrator collaboration. "Through our research, we found that current social media management tools were lacking when it came to Facebook, especially for small to medium-size businesses," said Peter Buonaiuto Sr., president and founder of mediafeedia. "We developed mediafeedia to offer a feature-rich experience that is easy to use for virtually any business seeking to participate on Facebook in an effective, meaningful way." Currently in beta, mediafeedia has raised more than $1 million in angel investment to date and is currently in discussions with investors regarding its next round of funding. Hundreds of businesses are currently using mediafeedia to effectively manage their Facebook pages. In the coming months, mediafeedia plans to introduce new capabilities including custom tabs for fan pages, dashboard management capabilities and other new content management tools.